Whether your conference is for a week or a day no doubt your time will taken up with a million details to ensure its success. One stress less is to have your entertainment sorted and secure in advance. Conference days can be heavy going so its vital to have some upbeat downtime where delegates can kick back with colleagues, have fun and relax before the next brain onslaught. You may want team activities arranged, music and entertainment for the evening socials, inspiring keynote speakers, an upbeat MC who can keep everyone engaged. We can help with everything you need to tick entertainment off your list of things to do! 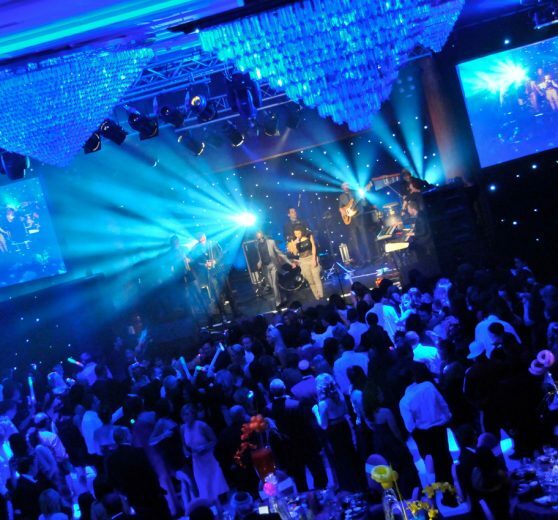 “For the past 3 years, we have been working with Sue at Joogleberry to provide our entertainment needs when our client has held its annual international conference at the Brighton Grand Hotel. The service, willingness to help and then attention to detail is impeccable and always welcomed by our client, their guests and sponsors alike. As conference organisers, we look forward to working with Sue and her team in the future”. Craig Oldfield, Event Manager, AMS (Outsourcing) Services Ltd. The party went fantastically well. Simone was absolutely fabulous – people were dancing from the outset (even before the food came out which is pretty unusual). The Rockafellas got everyone going and the dancers did a great job – all in all we couldn’t have wished for better entertainers. Many thanks for all your help Sue.